Bread is a staple of the modern American diet. It’s versatile, delicious and an important source of carbohydrates that are crucial to our daily caloric needs. However, there is an important distinction between different types of bread and the carbohydrates they contain. Fiber is a type of carbohydrate that cannot be digested by humans but is instead utilized by beneficial bacteria found in our intestines. High fiber breads, in comparison to white breads, have more complex carbohydrates and fewer simple, short-chain carbohydrates such as sugars. Made with whole grain or whole wheat, the fiber content of bread can be elevated by the addition of wheat bran, oat bran or seeds. To qualify as “high fiber bread,” a loaf must contain at least 4 grams of fiber per serving. Why is high fiber bread better for you? The high fiber content of this type of bread results in slower digestion. Eating high fiber bread makes you feel fuller for longer. Slower digestion leads to a lower glycemic index, meaning that carbohydrates are absorbed into the blood stream at a slower rate. This prevents the spikes in blood sugar that accompany the consumption of high-sugar foods or refined carbohydrates. Spikes and crashes in blood glucose levels result in cravings for high-sugar or high-carb foods. Therefore, eating foods with a lower glycemic index and maintaining stable blood glucose levels is good for maintaining a healthy weight. Furthermore, bread that is made using whole wheat flour as opposed to refined white flour contains more nutrients. The germ and bran components of the grain that are stripped away from refined grains contain beneficial minerals such as zinc, magnesium and iron, as well as omega-3 fatty acids. These germ and bran components can also impart a rich, nutty flavor and a more complex texture to bread. Is high fiber bread harder to make? High fiber bread can be trickier to make. The germ and bran components of the grain have a tendency to absorb more water, potentially leading to dry and crumbly bread. Additionally, they make the grain and the resulting dough heavier, dragging it down during the rising process and resulting in a denser loaf. While dense bread can be hearty and filling, bread that is too dense and too dry becomes hard and unpalatable. One solution to this dilemma is to increase the amount of water used in the dough. The typical weight of water used in refined white flour bread is 60 percent of the flour weight — this is also known as the “baker’s percentage.” Commercial bakers of whole wheat bread increase this to a baker’s percentage of 90. However, more experienced individuals recommend percentages as high as 120 or 130. Unfortunately, a baker’s percentage that high results in a gooey dough with an almost soup-like consistency. Although experts promise this seemingly alarming batter of whole wheat will ultimately result in a perfectly moist loaf, it is difficult to work with. Dough that is difficult to handle can make commercial production of high fiber bread less efficient and therefore costlier. Another common mistake in the attempt to make healthy, high fiber bread is over-kneading. The bran components in the whole wheat dough might cut the strands of gluten during the kneading process, which can ruin the molecular-level structural integrity of the dough and undermine the dough’s capacity to rise. Whole wheat baking enthusiasts also recommend letting the heavier whole wheat dough rise for longer in comparison to white flour dough. However, this becomes tricky. At a certain point, the dough reaches its maximum volume. After this point, as fermentation continues, the dough will begin to collapse, which is counterproductive. How our SEBake CLX (cellulase) can enzymes play a role? 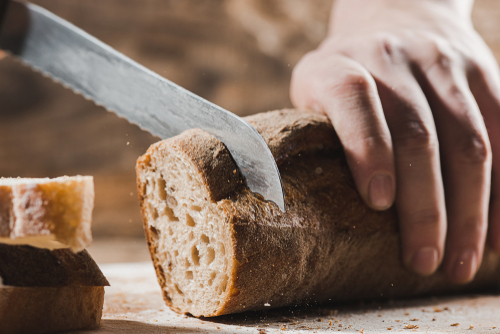 Many commercial bakers use chemical additives and preservatives to improve the shelf life and texture of their high fiber bread. 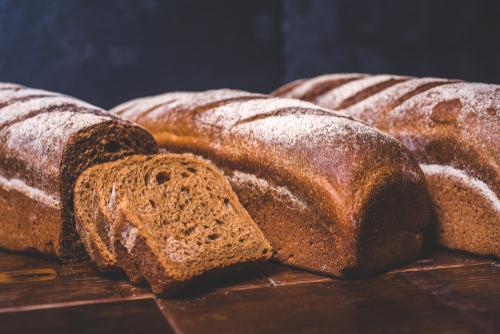 The use of SEBake CLX in high fiber bread can more safely and naturally alleviate the complications involved in efficient, commercial-scale production of healthy, palatable high fiber bread. SEBake CLX functions by breaking down the water-insoluble walls of the wheat cells, resulting in a higher proportion of water-soluble fiber content. This decreases the need for an excessive addition of water, yielding a drier, easier-to-handle dough. 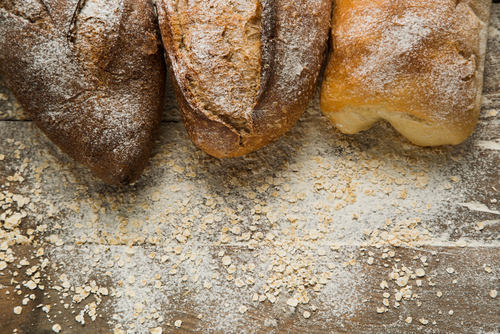 Use of SEBake CLX in bread also creates softer bread and increases the shelf life. During the baking process, the heat then deactivates the enzymes. Enzyme Innovation has developed several lines of enzymes for commercial use in baking and milling. The addition of these enzymes in singular form or as multi enzyme blend to bread dough can help with problems such as dough stickiness, bread hardening, and low bread volume.